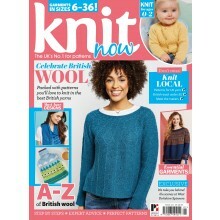 This month we’re celebrating the unique properties of British wool with our eighth annual Best of British issue! Britain has long held a reputation for producing some of the best wool in the world, and our favourite yarn companies are proving that our reputation is still well-deserved. 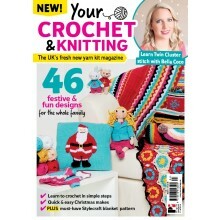 As you flip through this issue, look out for the ‘Meet your yarn’ boxes on each pattern, which tell you a little bit of the story of each yarn. I love using British wool not only because it’s beautiful to work with, but also because it reduces my carbon footprint because the yarn hasn’t had to travel far from the sheep to my needles. I also love supporting businesses that are run by people I know and trust, such as West Yorkshire Spinners – you can read all about our day out at the factory inside. 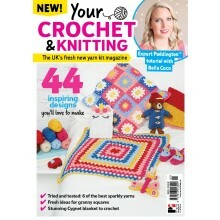 Inside this issue you’ll find projects to suit all budgets and skill levels, which each showcase a stunning locally-made yarn. 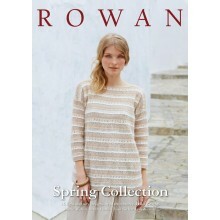 If you’re an adventurous knitter, you’ll love the Helena Rose stole, which is knitted from a stunning hand-dyed yarn. As a history buff, I love the inspiration behind the Tylwyth Jumper and the finished garment is just perfect. 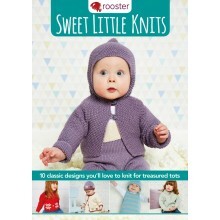 For an affordable little knit, why not try the Orlando baby cardigan? It’s knitted in great-value machine-washable yarn from Home Farm Wensleydales. 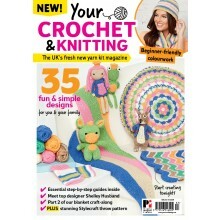 The world of British wool is really vibrant right now, so you’ll find plenty to read in this issue. Zoë Potrac is busting some myths around sheep-shearing and we caught up with designer Ella Doran to find out her woolly story. Finally, if your stash needs a little boost, don’t miss your chance to enter our biggest-ever giveaway. 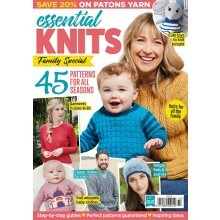 Essential Knits 5 is packed with 45 patterns for the whole family to enjoy, as well as techniques and inspiring ideas for all abilities! 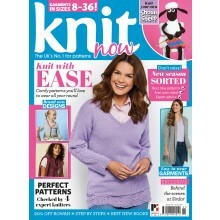 This month we’re taking our first tentative steps into spring, with brighter colours and a focus on knits that are perfect for layering – so whatever the weather, you’ll find something in these pages to suit. 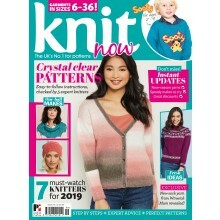 Donna Jones’s Moongazers Capelet (page 42) is perfect for throwing on over an outfit to add an extra layer of warmth. 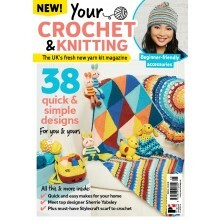 Of course, there’s nothing quite like a cute little bunny to welcome in spring – and you’ll find the pattern to knit this issue’s free kit on page 52. 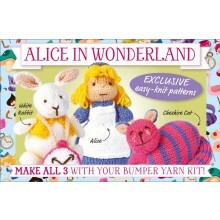 If you’re not really a toy person, we’ve got a couple of other great options to use your free yarn too. I love the look of Jenny’s little mitts (page 50). 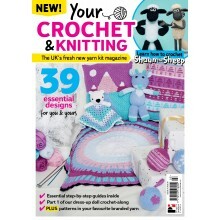 The eagle-eyed among you might spot that we’ve gone a bit animal-mad this issue. There are lots of cute animal-themed things in the shops right now, so I thought it would be fun to reflect that in our knits! I’ve got a little cat at home, but I really love dogs too, and I’m really tempted by Kari-Helene Rane’s super-cute cowl (page 32). If your needles are full right now, you don’t have to cast anything on straight away. We’ve got plenty for you to read in this issue as well. 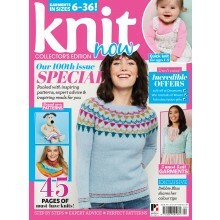 Our roving reporter Anna Elliott has been investigating machine knitting (page 40), I interviewed Skein Queen (page 22) and of course we’ve got all the latest news and reviews throughout this issue. So grab a cuppa and settle in for a good read! 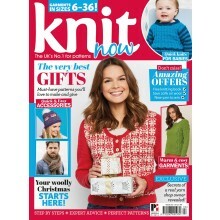 Your new issue of Knit Now is packed full of gorgeous knits to make for all your family. 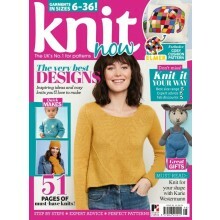 It's a quick-knits special, with lots of little makes you can whip up in a weekend, from sweet baby knits to pretty accessories. 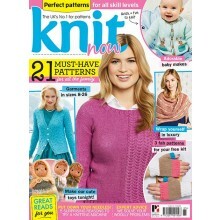 Knit Now Issue 76 is packed with beautiful patterns you’ll love to knit. 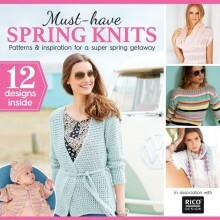 This month our focus is on light and airy yarns, quick makes and pretty designs. 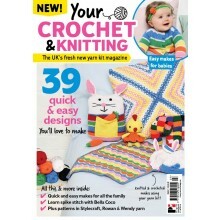 Your free gift is an exclusive Sirdar baby book, full of cute designs for your little ones.